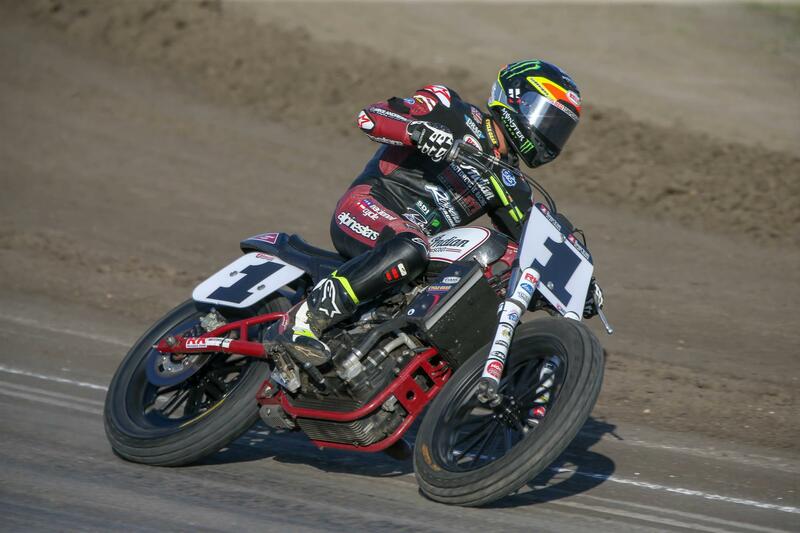 DAYTONA BEACH, Fla. (May 3, 2018) – Only three races into an 18-race season and there’s already plenty of drama being served up for the Calistoga Half-Mile presented by Indian Motorcycle on May 5 at Calistoga Speedway. Just one week ago, Indian Motorcycle’s Jared Mees – the AFT Twins presented by Vance & Hines points leader and the winner of the first two races of the season – was DQ’d from the Atlanta Short-Track for using a chemically altered rear tire. He lost his win, his purse money and, most importantly, the precious series points, which dropped him to 4th in the standings. Fans and the AFT paddock wondered how he’d respond to the adversity in Texas for Round 3, but they really shouldn’t have. Mees qualified fastest, won his Heat, won his Semi, and beat the speedy and smooth runner-up Briar Bauman (Zanotti Racing Kawasaki) and the rest of the AFT Twins field in the Main to launch himself back into the points lead. Clearly, Mees is still the guy to beat. There’s drama in the AFT Singles division, too. Honda-mounted Brandon Price (Parkinson Bros. 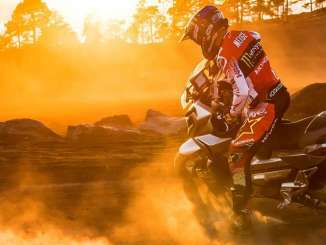 Racing), who finished second overall last year to series champion Kolby Carlile (Estenson Racing Yamaha), leads the series with a win at Atlanta and two other top-ten finishes. You expect that from a guy with that much consistency. Early series leader Dan Bromley (KTM) was riding high until a 17th at Texas derailed him – for the time being. The movers and shakers in the Singles division? They’d be Morgen Mischler (Cycle Craft Yamaha) and Shayna Texter (Husqvarna Motorcycles/JCS Racing), who didn’t score a point at Daytona, but who have quietly – and not so quietly – scored top-10 finishes in races 2 and 3 to move into 4th and 5th overall at this early stage, with Mischler beating runner-up Texter by half a bike-length at Texas. Texter’s run through the pack in her Semi, and also during the Main to catch and pester Mischler nearly the entire Main, was especially dramatic. Texter had the grandstand crowd up and cheering every time she flew by, passing guys with superb drives off corners two and four and repeated inside-dive moves entering turns one and three. Her rides were easily the most exciting of the evening, with Harley-Davidson rider Sammy Halbert’s passing acumen in his Semi and in the Main ranking a close second. Crashes in Texas generated drama of their own. Indian Motorcycle’s Bryan Smith, who debuted a modifed Indian FTR at Texas, broke his fibula in a crazy multi-rider crash during Semi number 1, which collected Estenson Racing Yamaha’s Jake Johnson (sore but unhurt) and Harley-mounted Stevie Bonsey (broken ankle). Smith will miss Calistoga and possibly Arizona as well. So…. Can Mees keep it up? Few would bet against him. Will Henry Wiles (Wilco Racing Indian) or Bauman give him a run – or maybe Indian’s Brad Baker, or Kenny Coolbeth (Nila Racing Indian)? Or perhaps Halbert, who was so fast in Texas on the XG750R Harley-Davidson? Can Brandon Price hold the AFT Singles lead? Will Mischler make it two-for-two? Can Bromley rebound? Or will Texter put the Husqvarna on top of the box? You just know it’s gonna be good. And if all that’s not enough, a very special Tribute to On Any Sunday will be featured at Calistoga, with the movie’s participants – including Grand Marshal David Aldana, Jim Rice, Jim Odom, Don Castro, Frank Gillespie and others – signing autographs and watching as the movie (free to all ticket-holders) is played on the Jumbotron after the two Main Events. With On Any Sunday memorabilia available, and all the wonderful vibes and goosebumps the late Bruce Brown’s moto-documentary always seems to generate, it’s sure to be a grand addition to the racing action. Finally, it’s Cinco de Mayo, and that means the Napa County Fair and Fiesta will be happening adjacent to the racetrack all weekend long. The Flynn Creek Circus will entertain fans and families alike, along with live music, a food truck rally, kids fun zone (petting zoo, pony rides, etc. ), amusements, games and a big Cinco de Mayo party (8–10 pm) for adults on Saturday night. Tickets for the Calistoga Half-Mile are available here – Calistoga Tix – but hurry … Calistoga is a small, intimate venue, and you don’t want to miss out on the wild American Flat Track action and drama that’s sure to play out this Saturday. For those who can’t make the Calistoga race on Saturday, be sure to tune in to FansChoice.tv starting at 5:00 pm ET for the entire afternoon and evening’s practice, qualifying and racing. Then, on Sunday afternoon May 6 at 4:00 pm ET, watch the Texas Half-Mile premiere on NBCSN. Finally, catch the NBC broadcast of the Calistoga Half-Mile on NBCSN on Sunday, May 20 at noon Eastern, 9:00 a.m PT.